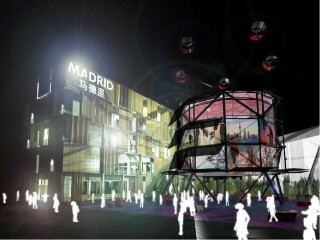 Madrid Pavilion for Shanghai Expo 2010. 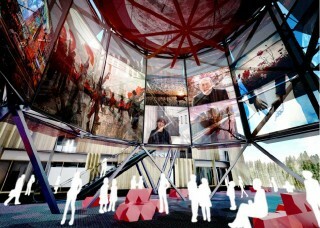 In Ecosistema Urbano, I was in charge of texture designs (roof, wall etc. ), wind generators, CGs and movies. The building works as a machine to create comfortable air condition for public space. Wind generators make self-sufficient energy to move eaves to control temperature and, at the same time, texture walls work as 360-degree screen for the events inside.